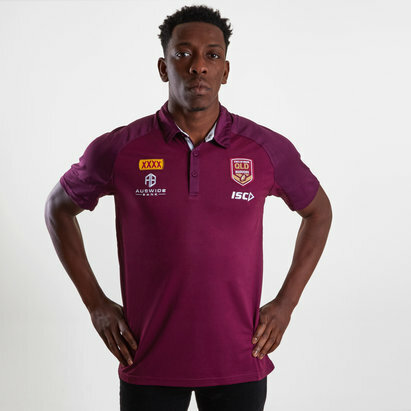 Cheer on the Canetoads with this Queensland Maroons State of Origin 2019 Performance Rugby Polo Shirt from ISC. This is the perfect polo shirt to add to your collection and wardrobe. 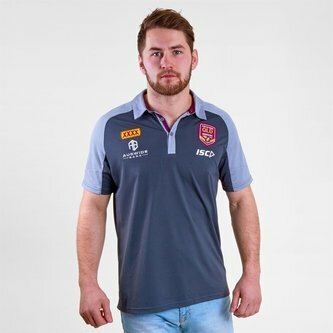 This technical polo has been designed to meet the requirements of all athletes. It has been crafted from mid-weight fabric that wicks sweat away from the body keeping you cool, dry, comfortable and odour free. This shirt comes with an elongated, slim 3 button placket and a classic collar. This top comes in a black and grey design with the ISC logo and club badge on the left side.